Base from Shift 2 Unleashed, some parts from NFS Undercover. - With NFS-TexEd, open FrontB.lzc, find ID 368 and 85 and replace with CARSELECT_MANUFACTURER_MAZDA.dds and SECONDARYLOGO_RX7.dds respectively. Save it. 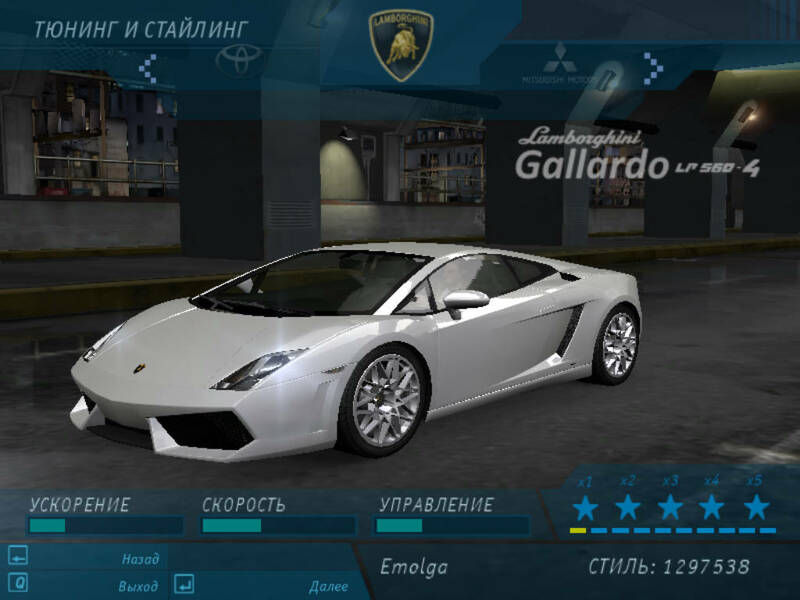 - With NFS-LangEd, open your language file in LANGUAGES folder, find ID 596 and 1206 and replace with LP560-4, then find ID 3838 and replace with Lamborghini Gallardo LP560-4. Hit Apply and save.